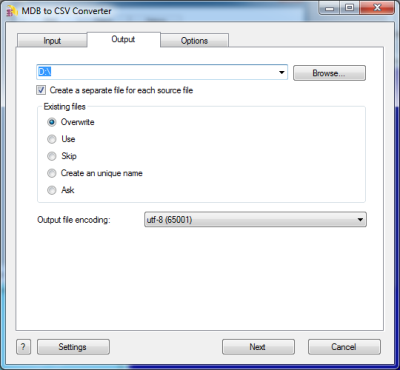 MDB (Access) to CSV Converter allows you to convert your XLS (Microsoft Excel) files to CSV format. MS Access up until 2007 version used a proprietary binary file format called Binary Interchange File Format (BIFF) as its primary format. Access 2007 uses Office Open XML as its primary file format. 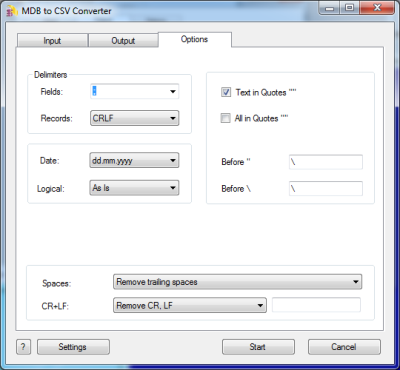 You can select tables for export and set necessary options. 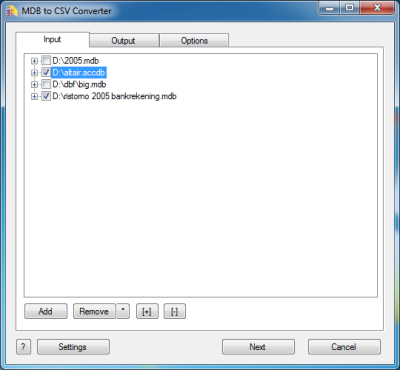 The program can read both old MDB file and ACCDB 2007 files and convert then to CSV format.